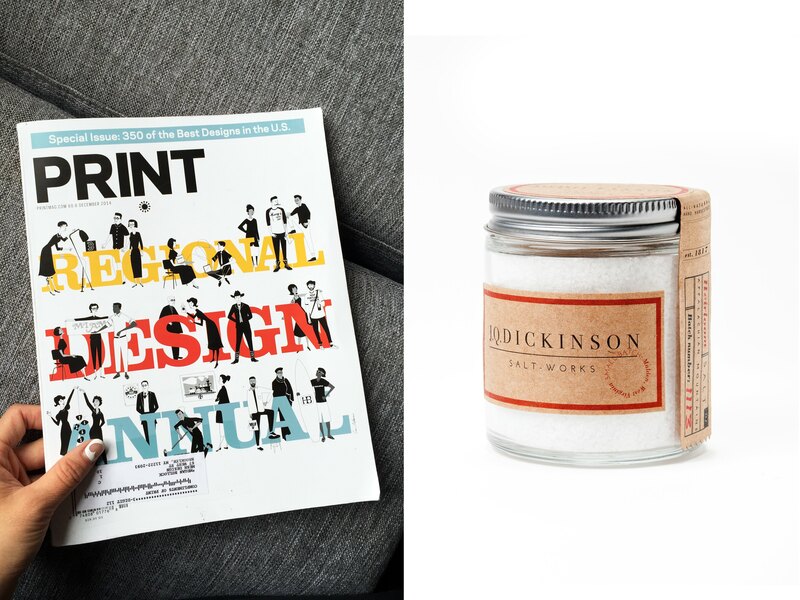 Check out page 169 of this year’s PRINT Magazine Regional Design Annual to find our J. Q. Dickinson Salt-Works branding and Packaging as one of the best design pieces of 2014! So grateful they’ve featured this passion project of ours, and so grateful for all our collaborators on this project: Stephane Thomas (ThinkBox Media, printer), Lauren Stonestreet, Mike Garten (photographers), Elizabeth Hadadd (writer). Check out more about the project here.